I first met with Faith months ago on Facebook. It was on King Publishing Group – The Buzz page. We connected instantly. Then I had the pleasure of meeting her in person at the Harlem Book Festival back in July. I have a great deal of respect and love for this talented author. While we were talking the other day, this interview happened. It’s my pleasure to introduce to you, Faith. I was born in Albany, NY and raised in Syracuse, NY and Louisville, KY. I had a great childhood. I did a MS Readathon commercial. We lived a nice middle class life. My father liked the finer things. My mother stayed at home and always put us first. 2) When you wrote your first book, did you find it hard? Yes. I didn’t know first person from third. The editors chopped my book up. I had to change it to make it more urban. But I pulled it together. 3) Is that how you learned to get better, with an editor? Yes, and I learned quick! When I wrote part two, I didn’t have any rewrites. 4) How long did it take you to write your first book? It didn’t take that long, a few weeks. But I use to write in notebooks, so it took a while for me to type it up. I wrote Church Whore in two weeks. I feel closest to God when I’m writing. I’m at peace when I’m writing because I know that’s what I’m supposed to be doing. Now I type on my laptop, but I still have about ten stories in notebooks. My first book was written in 2008. Shxt Happens was written in 2007. 5) So when did you decide you were a writer? I’ve always written. I use to write letters for all of my friends in middle school. Break up letters, and love letters. I just knew I loved it. My best friend Angie told me that writing was my calling. That was in 2006 before my son was killed. 6) Can I ask what happened? He was run over by a school bus on Sept 28, 2006. He was 14. He was the second child I lost. I had a stillborn in 1999. I was seven and a half months. I named her little Faith. 7) So would you say this was the impetus which propelled you into writing full-time? Yes, after Sean died I decided to take my writing more seriously. Because before then I would write movie scripts, but never stories. 8) How do your ideas come to you? I never know what I’m going to write. I free style. Like with my first series all I knew was I wanted a woman who was strong and no nonsense. I knew I wanted her to have two best friends. That’s all I knew and I just wrote. The funny thing is one of characters became bi later in the book, but when I first described her, I said she seemed like she could be a lesbian, but I didn’t even remember that. My friend told me well that’s how you described her. I talk about my characters like they are real and in the house with me. 9) What are some of you all-time favorite books and authors and why? VC Andrews! I grew up reading all her books. That’s what made me say I want to write. The Alchemist by Paulo Coelho. This is how God works. Years ago, before I was signed the author, Carla Pennington put up a list for summer reading. Budussy by Eros was on the list. Once I read it, I was hooked. At that moment, he became my favorite author. And years later, not only is he my publisher and mentor, but he’s one of my best friends. 10) What was your most favorite book to write? 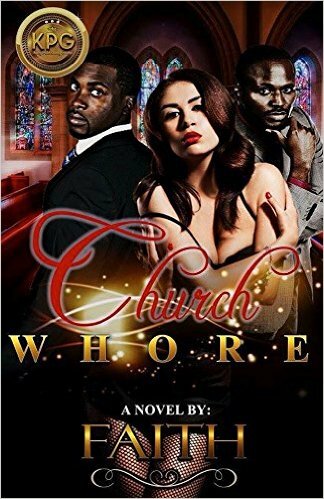 Church Whore was my favorite book to write. It just flowed out of me. 11) Do you write every day? No, I don’t write everyday. 12) What do you believe made you a better writer? Life experience. Listening to my spirit. 13) Are you working on anything new now? Yes, Church Whore 3. Plus a few other jewels I’ve started on. What is the most important thing to you? What inspires you? Pushes you to higher heights? I want to grow as an author. My parents gave me the gift of words. Watching my father preach and stir up souls made me want to do that in my own way. They taught me the power of words. My kids push me to follow my dreams. I’ve made many sacrifices to do so. My mother wrote poetry and played for our church, so words were always important. At the end of the day, I always have my words. 14) What advice would you give a new writer? Stay true to yourself. Stay humble. This game changes people and most times not for the better. Thank you so much, Faith. Wishing you the world of success and abundant blessings on your literary journey. 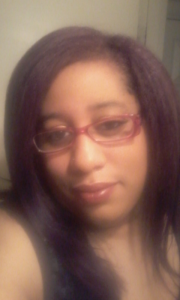 Faith Cheek Weathers was born on September 15, 1974 to Rev. & Mrs. Earl Cheek. Faith learned at an early age the importance of words. Faith used to write letters for friends in school and quickly made a name for herself as “The Letter Writer.” Faith would write for fun as she obtained a Bachelors in Psychology. In 2014 she was signed to a publishing company. In September of 2014, she was signed to KPG. Under the direction of her mentor Eros, Faith started to build her catalog. One year later Faith has then ten releases under KPG with many more to come. Faith resides in Greensboro, NC with her four remaining children. Faith has experienced many trials and tribulations including the death of two children, but she doesn’t let anything stop her. Stat tuned to see what this preachers kid has up her sleeve. You can follow her on Facebook and Twitter.